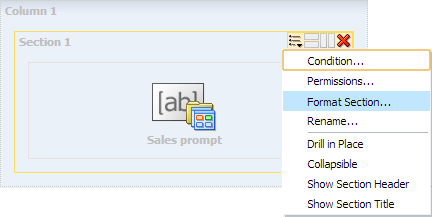 How to remove bevels, spaces and box shadows from OBIEE Dashboard? 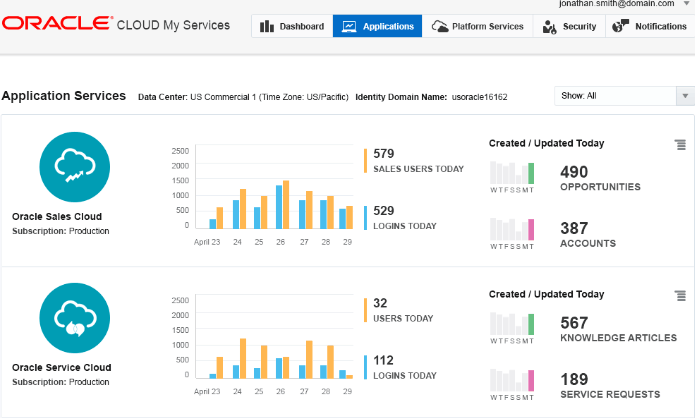 By default, dashboard sections are visually separated from each other using spaces, borders, bevels and box shadows. Also the default color of dashboard background is light blue. We may want to remove it to get a cleaner dashboard display. How to create sub folders in Presentation Layer? This can be done in Oracle BI Administration Tool by adding them in Child Presentation Tables tab in presentation layer table Properties. How to hide a column or section from the dashboard display? This workaround allows you to embed dashboard objects that are hidden from the view. 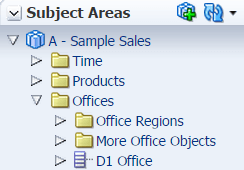 Using this property you can hide Dashboard Column, Section or Alert Section objects. 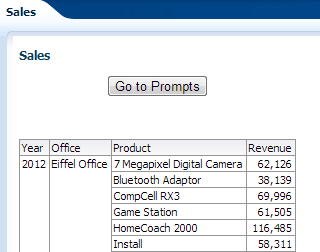 To hide particular reports or prompt you need to put them inside the hidden column or section. 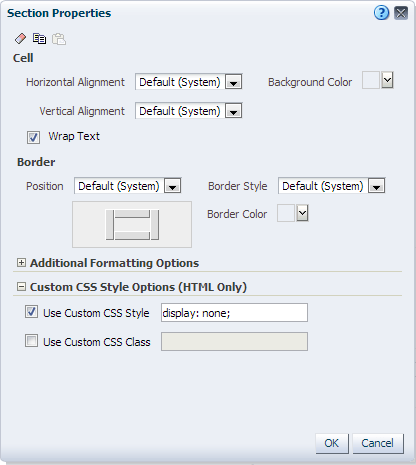 Click on Custom CSS Style Options (HTML Only) and check Use Custom CSS Style. The element with this property won’t be displayed on the dashboard. Note that this affects only the display of the dashboard, if you export the dashboard contents to a PDF the objects hidden with the CSS formatting will be visible. 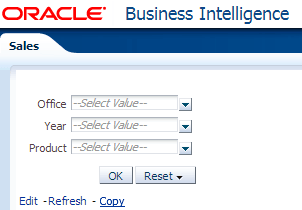 When a prompt is added to a report in OBIEE, it will ask user to provide the prompt values when the report is opened. Report results will be filtered by the values chosen by user in prompts. After that, user can’t change the report’s filtering condition as the prompts are no longer visible. To solve this, we will add button with a link to take the user back to prompts. How to add Go to Prompts button to the report? Let’s add a Static Text view in report’s results page. 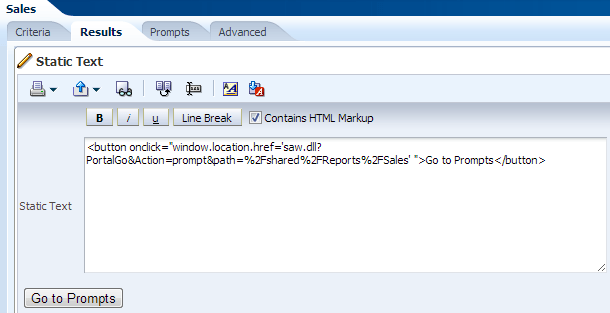 replacing the path= parameter with the path to the report starting with forward slash / (%2F in URL encoding). Below the Static Text field you can see the preview of the button. Add the Static Text view to report’s Compound Layout. Now the report displays ‘Go to Prompts’ button that takes user back to prompts.